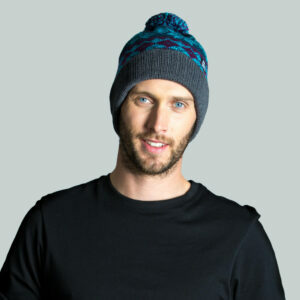 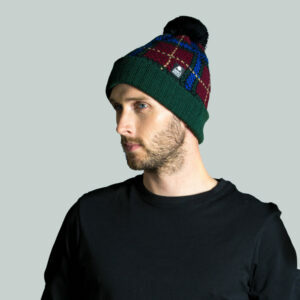 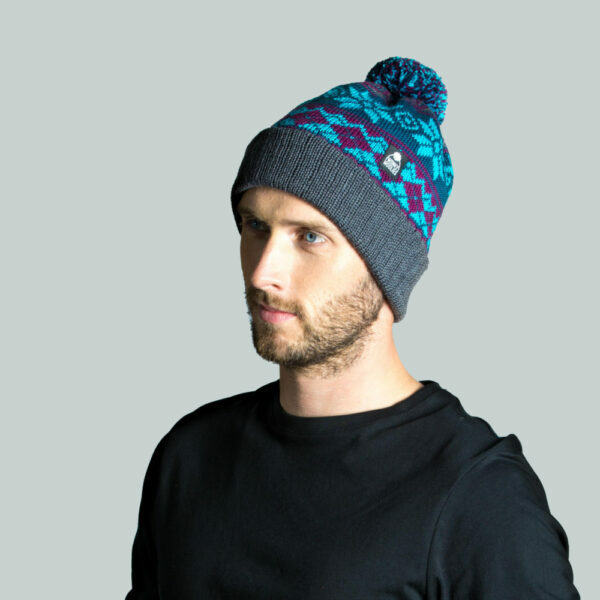 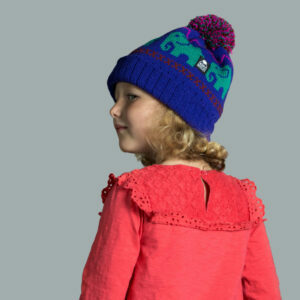 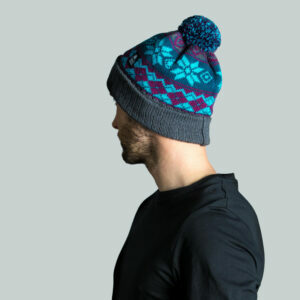 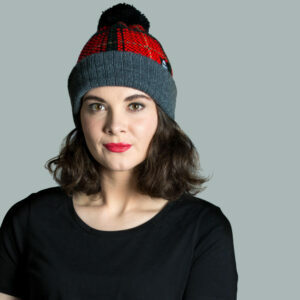 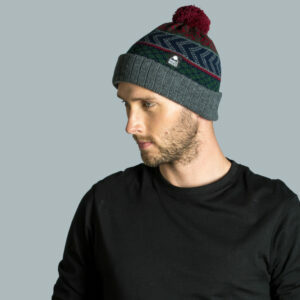 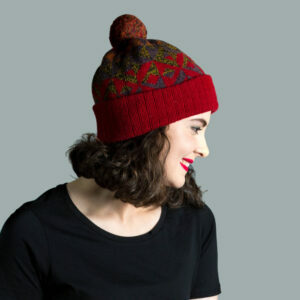 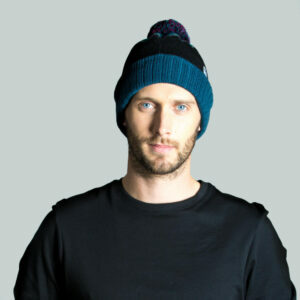 This pompom hat incorporates the argyle pattern in a vibrant combination of turquoise, garnet charcoal grey and teal. We’ve used 100% merino wool in this hat which is perfect for active wear as the fibres act as a source of insulation while also being breathable. 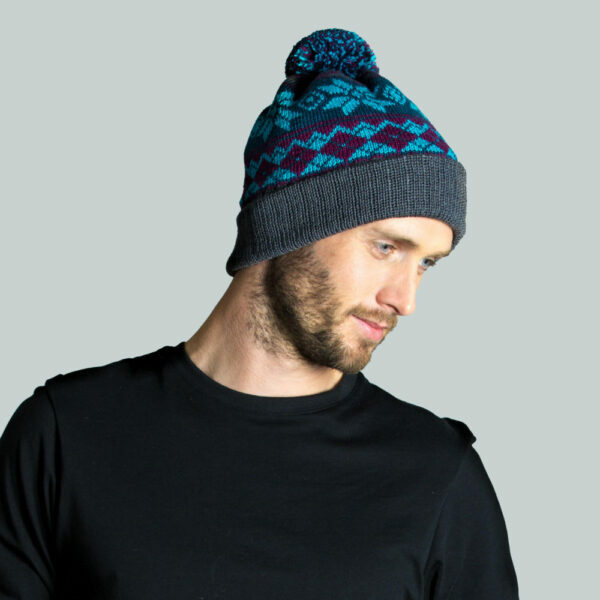 We use a double layer of Merino wool throughout this hat featuring a ribbed roll up hem to allow a versatile style worn fitted to the head or longer with a with slouch. 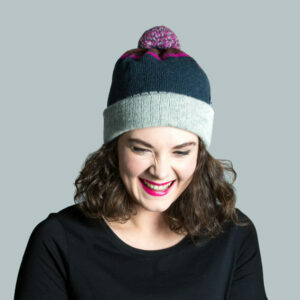 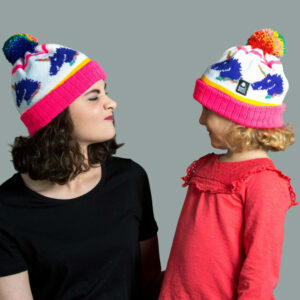 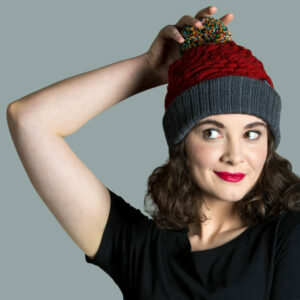 The soft pompom is a blend of all 4 colours and is super soft to the touch.